Monopoly Mega Movers is a 5 reels and 30 paylines slot game, themed on one of the most famous board games in the world! The game comes packed with loads of bonus rounds and features that will benefit you in every way as you spin the reels. While you get started, get familiar with the symbols, which are T-Rex, Penguin, Ducky, Cat, Dog, Battleship, Top Hat, Car, Train and Mr Monopoly. Use the plus or minus buttons on the Bet/Line Field, to easily adjust your stakes. There is also the Extra Bet button, which allows you to increase your chances of winning. The aim of Monopoly Mega Movers is to form winning combinations with three or more identical symbols on active paylines. Amount of Paylines Selection: All 30 paylines remain in play throughout the game. The Wild symbol lands on only reel three. This replaces all other symbols to complete winning combinations. When the wild appears with arrows on it, it expands in the indicated direction. The Wild Spin Bonus is triggered from the Prize Wheel. Three in a row, four in a row and five in a row wheel awards 3-4, 4-5 and 5-12 wilds respectively. Watch out for background symbols, which trigger this feature. Landing three, four or five of these appear on adjacent reels of the same row, where one wheel is awarded. Three wheels then come into play and award unique prizes. These are: 3 in a row, 4 in a row and 5 in a row! Wheel Upgrades: The three in a Row wheel awards one spin of the four in a row one, whereas the 4 in a Row wheel rewards you with 1 spin of the 5 in a Row one. Random Wilds: One spin of the Wild Spin Bonus is awarded. Free Spins: The number of free spins is equal to the number displayed on the wedge. Jackpots: The value displayed in the Jackpot meter is triggered. On the 3 in a Row wheel, the Mini and Minor Jackpots are available; only the Minor and Major Jackpots are available on the 4 in a Row wheel; only Major, Mega and Grand jackpots are included on the 5 in a Row wheel. 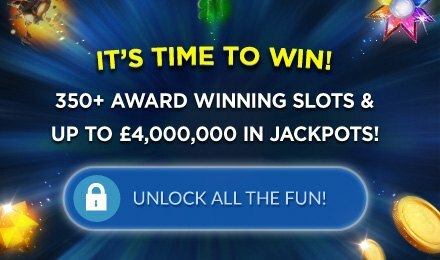 Receive a number of free spins depending on which wheel it was triggered from. 3 in a Row Wheel: 7 or 10 free spins when Extra Bet is active and 5 or 7 when Extra Bet is inactive. 4 in a Row Wheel: 12 or 15 free spins when Extra Bet is active and 10 or 12 when Extra Bet inactive. 5 in a Row Wheel: 20, 50 or 100 free spins when Extra Bet is active and 15, 20 or 50 free spins when Extra Bet is inactive.